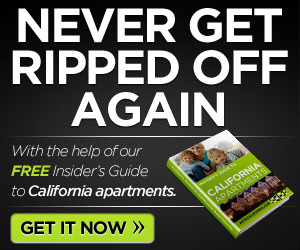 Prices for rent in California are all over the place, depending on where you want to live. If you consider the largest cities in the State, apartment rental rates range from an average price of $828 per month in Fresno to an average price of $1,803 per month in Irvine. With over 209,000 people and part of Orange County, Irvine somehow manages to maintain incredibly high rent rates, probably because the city began as a master-planned community. The city was ranked as having the lowest violent crime rate by the Federal Bureau of Investigation for cities in the United States that have populations over 100,000. Just a little smaller than Irvine, the city has about 206,000 residents. 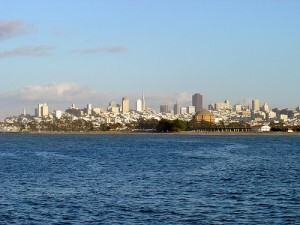 In the southeast section of the San Francisco Bay Area, it is the largest suburb in the metropolis and is right next to Silicon Valley. With education levels much higher than the national average, it’s no surprise that Fremont has a median household income of $95,028 — that’s 185% higher than the national average. Located inland, near Sacramento, this city has a population of 287,578. Stockton is connected to the San Francisco Bay by the San Joaquin River and serves as an inland seaport. As a whole, the economy here is suffering, primarily due to a devastating crash in home prices. As a result, the city was ranked in February 2011 by Forbes magazine as the most miserable city in the United States. Other recent studies have recently rated Stockton as the least literate of all U.S. cities with populations over 250,000 and a Gallup poll recently ranked Stockton as the most obese metro area in the country. On the bright side, rent is cheap and the city has easy access to Sacramento which is about an hour away. With a population near 500,000, the raisin capital of the world has the cheapest average apartment rental rates per month of large cities in the State. Hot and dry, Fresno is fairly removed from the rest of the State, but it is uniquely located near Yosemite National Park as well as Sequoia and Kings Canyon National Parks. Regardless of where you chose to find an apartment for rent in California, expect rent prices to fluctuate from place to place. Use this list to narrow down your choices before visiting any properties. Good luck with the apartment search. How about you? 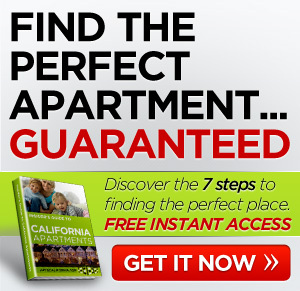 Any luck finding an apartment for rent in CA? Comment below.